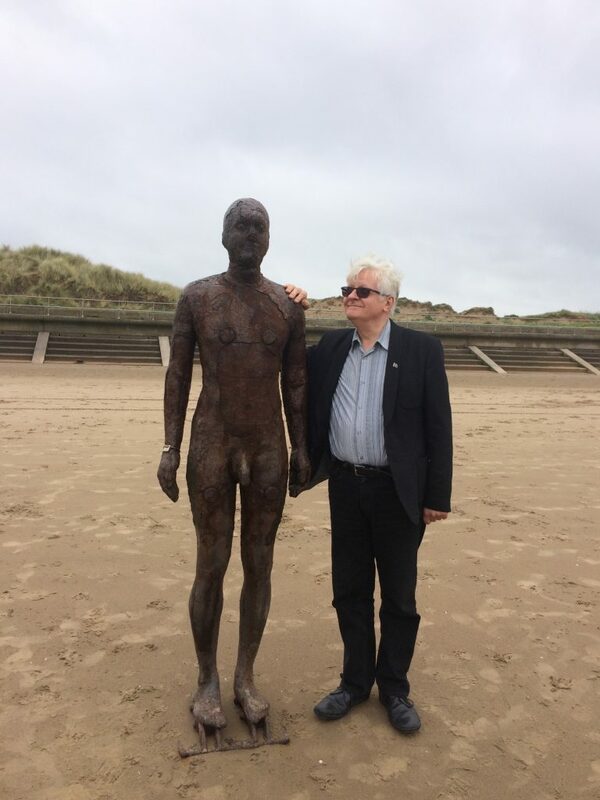 At the end of May we went to Liverpool to see the Tonight At Noon exhibition organised by Catherine Marcangeli to celebrate the 50th anniversary of the publication of The Mersey Sound by Adrian Henri, Roger McGough and Brian Patten. This poetry anthology became a best seller and took poetry out of the academies and into the street, if only for a little while. The exhibition was held at the Liverpool Central Library and, for me – someone who ran a bookshop in the mid-sixties – it was wonderful to see the magazines and ephemera from the period, including many manuscripts and photographs, now lovingly displayed in vitrines. Catherine did a superb job: it really was like time travel. If only Liverpool Council had come up with the money for a catalogue, as originally promised. Running simultaneously, just across the road in St. George’s Hall, was another exhibition organised by Catherine, this time of the visual artwork of Adrian Henri and again, including a number of little known pieces. 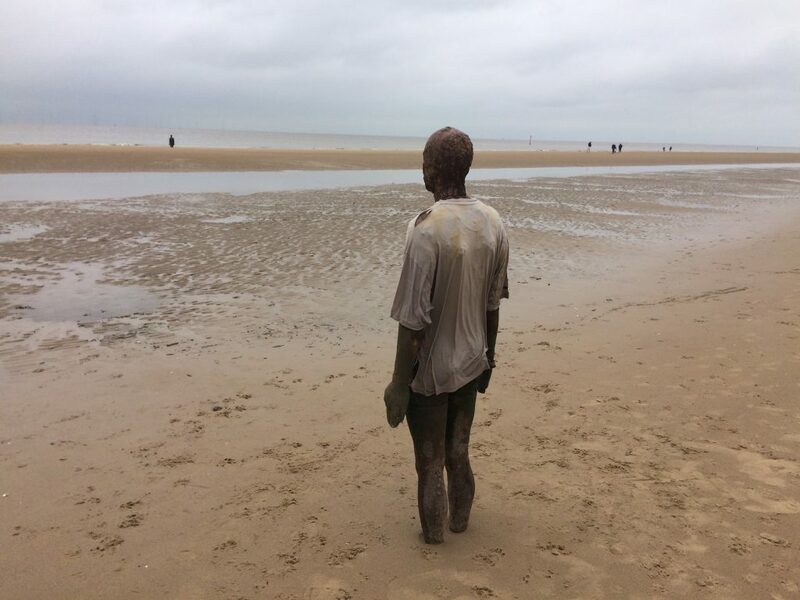 While up North we visited Antony Gormley’s wonderful ‘Another Place’ in Crosby: one hundred slightly over life-size (unless he is bigger than I thought) cast-iron statues spread out across three kilometers of the Mersey shore and also, even more dramatically, a kilometer out into the sea. Not to be missed if you are in the area. One of 100 Gormleys + Miles. Gormley with another in the distance.